Life is hard - money management shouldn't be! This post may contain affiliate links, which means if you click through and purchase something using my links, I receive a small commission. You can click here to read my disclosure policy ? Thank you! Do you love income reports? I know I do! A few of my favorites include Kristin’s Believe in a Budget, Kayla Sloan’s, and Michelle’s Making Sense of Cents. 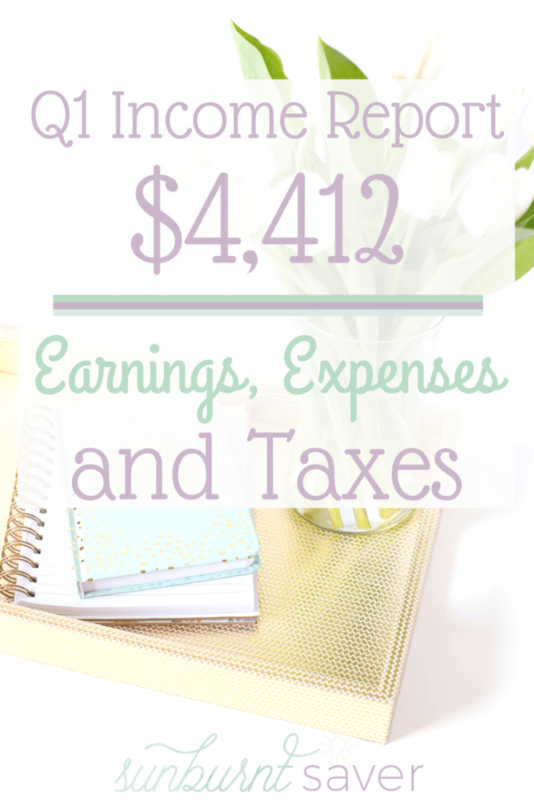 I love income reports that give me true income plus expenses – what does it really cost to be a blogger and virtual assistant? And what can you make? I tried sharing my income reports a while ago (July 2015 to be exact, which you can read here), but I stopped because I realized I wasn’t sharing how I got to that income, since I wanted to be anonymous. Well, I’m past that now – after all, how is anyone going to know that working for themselves is possible if they don’t know the good (profit), bad (expenses) and ugly (taxes)? 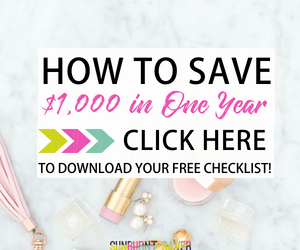 Enter your information to get the FREE Guide to Successful Budgeting. I know it’s almost time to do a Quarter 2 earnings update, so I’m a little late getting Q1 up, but I have exciting news – as of March, I became a full time writer, editor and Pinterest VA! Yup, I no longer work a typical 9-to-5 – and it’s been amazing. What is Quarter One (Q1) and Why Are You Calling It That? While you don’t have to, if you make a profit and don’t pay quarterly taxes throughout the year, you can be hit with a big tax bill in April and you could even be hit with underpayment penalties. It’s not pretty, and now that I work for myself, I’m definitely paying quarterly. To me, I’d rather get a little something back at tax time than owe a ton of money! Hey, that rhymes! Okay, fun aside, my quarter one income wasn’t bad for only working part-time 2 out of the 3 months. Expenses were tough the first three months! I had to figure out health insurance, increase my home internet speeds, install a land line (because apparently we get terrible cell service in the sixth largest city in the country… but I digress), and upgraded my phone to handle more client projects on the go. Since I did have a lot of one-off expenses in the first quarter, I’m not going to list expenses out right now, but expect to see them in the future! Remember above how I mentioned if you don’t pay estimated quarterly taxes when you’re self-employed, you could be hit with a big tax bill? Yeah, that happened to me. 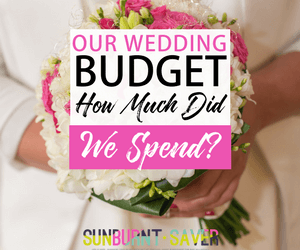 Despite withholding more from my previous 9-to-5 job, I apparently didn’t hold back enough – and neither did my husband after we got married. Yeah. And we weren’t even hit with an underpayment penalty, which is weird (but awesome. Please don’t take any more money from me, IRS). It turns out you should save about 20-30% of your business profits for the IRS, which I just didn’t really fully believe… until it happened to me. It was a sad day for me, let me tell you. In my next income update, the Q2 report (out soon! ), I’ll let you know what I paid in taxes based off the income I made from April – June 2017. I’m reserving 25% of my profits per month just to be sure, and I also use a handy bookkeeping program (GoDaddy Bookkeeping, which I’ll review soon!) to help me estimate and pay my taxes. 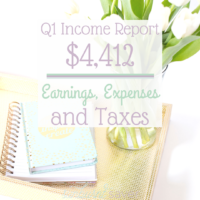 I learned a few things in this Q1 income report, and I hope you’re able to take a few things away too! In my next life update, I’ll let you know how I’m making money online and what it took for me to make the leap to full time employment. Curious? I know I always am! Stick around for more, and let me know if you have any questions about my Q1 earnings and life update! wow what an exciting post! you give me hope! lol Because of my hubs income I actually hold back 30%… :-\ But exact dollars aside, I love your spreadsheets and tracking. It has to be gratifying to see the numbers but also helps you keep your finances super organized. Congrats again!! Inspiring to see someone succeeding like this! Keep up the great work. 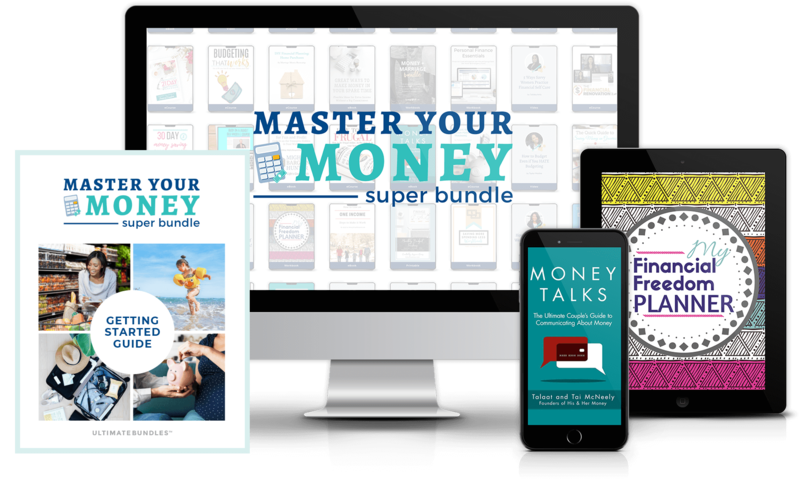 You know it's important to manage your money - but who has time to figure it all out? I'll help you cut through the hype to find practical, efficient solutions for managing your money that work on your busy schedule! 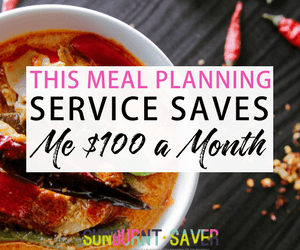 Sunburnt Saver is a participant in the Amazon Services LLC Associates Program, an affiliate advertising program designed to provide a means for us to earn fees by linking to Amazon.com and affiliated sites. For more information on my disclosure policy, please click here. Copyright ©2019, Melissa Berry LLC. All Rights Reserved.